The dawn to dusk statewide bandh called by All Adivasi Students’ Association of Assam (AASAA), in demand of ST status to Adivasi communities of Assam has evoked mixed response in Udalguri district on Monday. The district headquarter including places like Tangla, Hattigarh, Attareghat, Kalaigaon, Rowta, Mazbat, Orang witnessed a complete downshutter of business establishments. 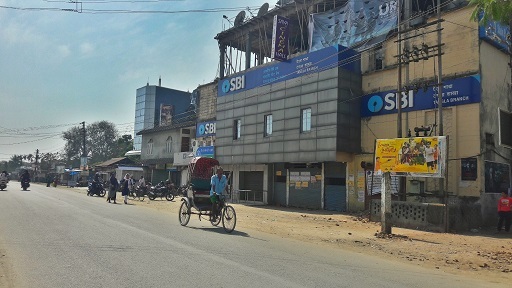 Meanwhile in Bodo dominated areas like Bhergaon, Khoirabari, shops and markets were seen functioning and people were also seen on the streets in spite of the bandh. No major incident except burning of tyres by bandh supporters were reported from various places of Udalguri district. Commercial vehicles remained off-road. The police and para-military troops were seen patrolling the major townships of the district during the bandh hours. The bandh was called by AASAA, as the Bill regarding ST status to six communities of Assam was not passed in Rajya Sabha on February 9. “Reservation is our legal right. We will only be happy once it has legal sanction and is implemented. The BJP has promised it before election and Adivasi people voted overwhelmingly for the BJP. 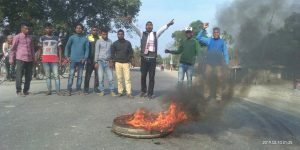 But if its bait for gaining political mileage then we are ready to give a befitting reply in forthcoming polls,” president of AASAA Udalguri chapter,Tinku Orang, said. He further lamented that a section of self-styled leaders of least-heard organizations have been unnecessarily protesting the move of the government of granting the ST status to the communities which is condemnable. “It is the government who under purview of constitutional guidelines will initiate the move if any so what is wrong with leaders of such organizations,” Orang questioned. He further made a sincere appeal to such people to refrain from making further comments on the issue.